Experts and academics from the institutions are available to advise on these key areas, which are central to economic development, job creation and growth across the West Midlands. The universities have a strong history of connecting organisations with students for jobs and work placements, as well as training and development opportunities for existing workers. With knowledge of the skills gaps currently facing the region, the institutions are ideally placed to provide tailored training to fulfil business needs and connect students and jobseekers with vacancies. The institutions already boast long-held links with organisations across the region who have benefitted from the work in plugging hard-to-fill vacancies, expanding their workforces and supporting the region’s growth. Combined universities are at the leading edge of the mental health movement, offering dedicated degrees in the discipline and providing students from a range of other courses the opportunity to study in this important area. The Universities also have significant research expertise in the field, delivering projects and interventions on a range of issues including substance abuse and addiction; the role of health psychology in public health policy; post-conflict trauma; and the mental wellbeing of older people and patients living with long-term health conditions. 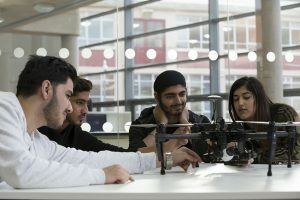 Through links with leading-edge organisations and a longstanding culture of business support, the universities have earned a strong reputation for enterprise and innovation right across the region. They work proactively with key stakeholders, including Local Enterprise Partnerships and the Chambers of Commerce, to advise on economic plans and the needs of businesses. With dedicated research centres across business and social relations the universities offer expertise in subjects including housing policy and social care; local government and the governance of public services; neighbourhood renewal strategies; and the socio-economic impact of business on society. The universities have invested millions of pounds into regenerating their local areas through a range of schemes including the redevelopment of brownfield sites into major campus facilities. Through long established partnerships with the business community, education experts and construction specialists, the universities can advise on construction, housing and development projects as well as providing specialist training and development courses. 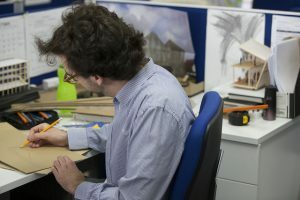 With research projects spanning a range of business sectors the universities have a strong reputation for using digital and creative technologies to support organisations’ needs. 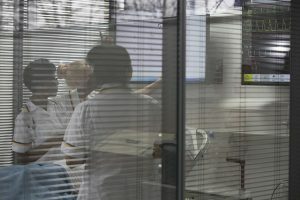 Working with partners such as the NHS experts have helped overhaul services through the use of services such as augmented reality, computer programming and cyber security. Several projects are already underway after securing investment from a range of sources to help support business growth and boost productivity. The collection and evaluation of data are fundamental aspects of research. Capturing and analysing information generates insight, leading in to turn to new and better ways of doings and identifying opportunities for innovation. Joining academic expertise with commercial knowhow and working with partners across a range of key sectors, the three universities aim to establish a Driven Research and Innovation (DDRI) Programme to deliver interventions and innovations to support the combined authority’s public services reform agenda and meet the challenges of its strategic economic plan. The UK Government has prioritised reducing carbon emissions, balancing the grid and generating more energy from renewable sources. Aligning with the low carbon agenda, the combined universities are pooling their resources to develop a centre of excellence to support areas of need including sustainable construction methods and materials, low emission transport and fuels, and renewable energy generation. This project will address the huge opportunities for economic growth identified in the low carbon sector - particularly within the West Midlands which is regarded as one of the critical regions for gains in this area - through continued investment in enterprise, R & D, and knowledge transfer.